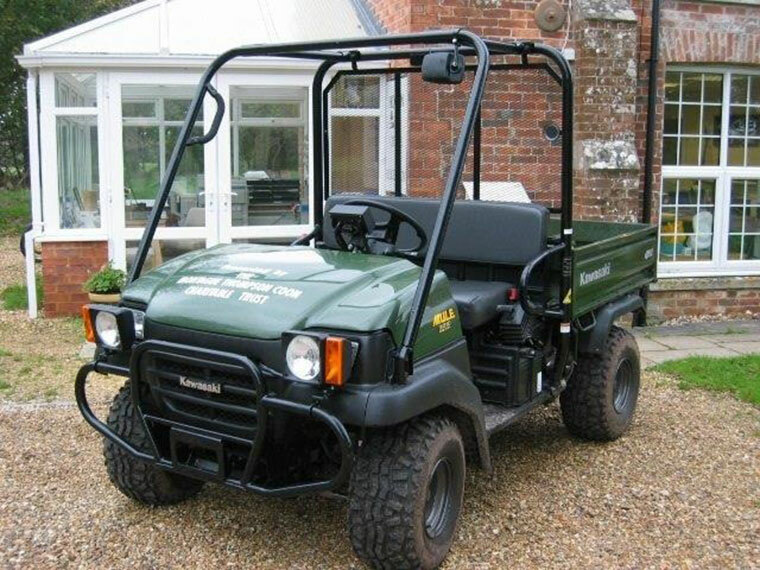 Police are appealing for the public's help to find a vehicle stolen from a charity that supports disabled people in Poole. A green-coloured Kawasaki Mule was taken from a yard where it was parked overnight between Sunday 4 February and Monday 5 February at Livability Holton Lee at Holton Heath. The offenders gained entry after breaking the lock on a gate. Centre manager at Livability Holton Lee, Neil Stevens, said, “This vehicle was in daily use supporting the woodland and horticulture therapy activities that happen on site. If you know where this vehicle is, please contact Dorset Police urgently. Anyone with information is asked to contact Dorset Police at www.dorset.police.uk, via email 101@dorset.pnn.police.uk or by calling 101, quoting occurrence number 55180018604. Alternatively, contact Crimestoppers anonymously on 0800 555111 or via www.crimestopppers-uk.org.